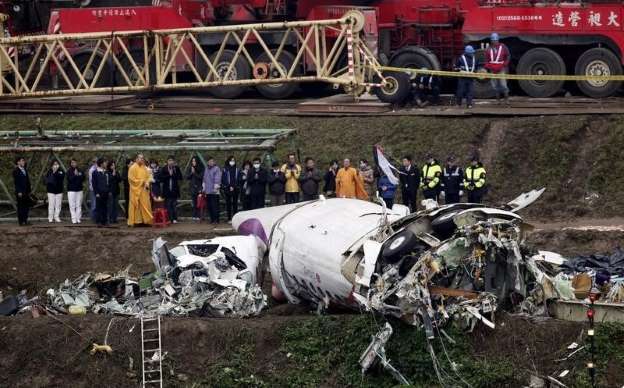 Reuters reports that the crew of a TransAsia Airways ATR plane that crashed in Taiwan in February, killing 43 people on board, had shut off the working engine after the other lost power, a source with direct knowledge of the matter said on Wednesday. The latest investigation report into the Taipei crash, to be released on Thursday, will say data readings showed the almost-new turboprop ATR 72-600 stalled and crashed shortly after the functioning engine was switched off, said the source. The findings of the report, by the Aviation Safety Council, will also focus on flight operations, air traffic control, weather, the air worthiness of the plane and other factors, added the source, who could not be identified because the report has not yet been made public. TransAsia declined to comment on the latest findings. The council report, which neither assigns responsibility nor suggests recommendations for improvement, paints a more detailed picture of the evidence than a preliminary report released days after the crash.